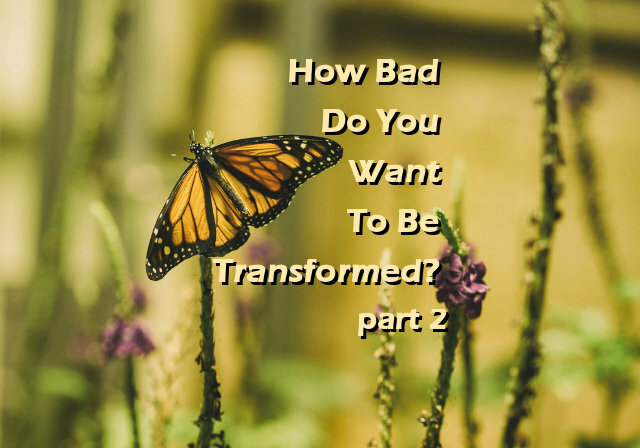 In my last post, “How Bad Do You Want To Be Transformed? part 1”, we discussed the absolute necessity of reading the Truth on a daily, if not regular, basis. This week I’d like to impress upon you the absolute necessity of prayer. Reading and prayer go together like a hand in a glove. It’s prayer that keeps the heart soft so that the Truth of the Word of God can seep in. The Word inspires and encourages us to be in constant prayer. Without prayer and an open dialog with the Teacher, reading the Word will not yield any fruit. Those that are not seeking may read the Word but unless their hearts are turned toward God they will continue to have “ears that cannot hear” and “eyes that cannot see”. Prayer is faith in practice. The problem I’ve always had with prayer is that I could not see God. The idea (from a secular perspective) of conversing with an invisible being was always difficult for me. I think I prayed only because I did believe in God and I was always told that prayer works. This means that I did not have a personal conviction about prayer and I did not have much of a relationship with God. What this translated to was I prayed typically when things were going wrong and they were superficial at best. Just like reading, prayer started out as a habit for me, something I made myself do. I knew I wanted to read the Bible regularly and that started me thinking more about God and how He operates. So one prayer that I think God was delighted to hear was “Lord, I want to know you more. As I read your Word please reveal yourself to me.” I still pray this prayer and He keeps answering. It’s a wonderful thing to stay hungry for God. This is one way to keep fresh and deepen the relationship. So what started out as a habit, praying because I knew I needed to, developed into a lifestyle. “I should probably pray” turned into “I can’t wait to pray”. We were two worlds apart, God and I. He was in His realm and I was in mine. I did what I did and He did what He did. Little did I realize that He really wanted me to get to know Him more. Now I know that He’s always been interested in me and that He really has my best interests in mind. So my prayer life brought us closer together and now we’re working together, He and I.
James 4: 8 Come close to God, and God will come close to you. Wash your hands, you sinners; purify your hearts, for your loyalty is divided between God and the world. Another great thing about reading the Bible is all the wonderful prayers that the godly men and women prayed. There is a lot to be learned from the prayers already prayed and had tremendous results. The keywords here are “righteous person” and “prayed earnestly“. Doesn’t this give you hope? If you persist in this transformation process that I am laying out in these messages I am convinced that God will lead you to the abundant life that He’s promised. He will hear your prayers and your life will change dramatically. Are you looking to grow? Do you want to mature spiritually? Is this something that you think about from time to time or do you crave it? It is my guess that you are looking for the “abundant life” that Jesus promises. Who doesn’t desire a life described as such? What comes to my mind is being transformed. I cannot personally relate to this described life, yet, but I have faith that I will, on this earth. Although I cannot relate, I can see glimpses of it and I know that I am being transformed. Of course, this does not happen overnight. Speaking for myself, how does one get from being lazy, selfish, undisciplined, careless, irresponsible, thoughtless, purposeless, and complacency to faithful, loving, patient, diligent, driven and passionate? Don’t get me wrong, I am not there yet, but I can see signs of moving in that direction and because of that I am full of hope. Romans 12: 2 Don’t copy the behavior and customs of this world, but let God transform you into a new person by changing the way you think. Then you will learn to know God’s will for you, which is good and pleasing and perfect. How do we change the way we think? What habits and activities must we engage in in order to allow God to transform us? May I share with you what’s been working for me? Will it be OK if I discuss with you how God has been transforming my life? Biblical concepts and truths seem to sink into the heart little by little over time and eventually come to fruition, in His time and blesses us in miraculous ways on a very personal level. This is how transformation happens. Only through regular reading of the Word, prayer, and fellowship does this happen. The key words in Romans 12: 2 are ” let God transform you“, which means that transformation doesn’t happen unless we give Him our time. In an ultra convenient, vending machine, ATM, fast food, “give it to me now” society that we’ve all been programmed by, taking the long way is not very appealing. The key words here are ” 2 But they delight in the law of the Lord, meditating on it day and night.” Do you delight in reading the Bible? Do you look forward to reading it every day? The writer, David, did not even have the New Testament! But let’s get practical. If we are not to “copy the behavior and customs of this world” and “let God transform you“, how does this happen? Developing a daily habit of Bible reading is not easy, but you can do it. It starts with a desire to know God more and a daily decision of putting Him first. If you have the desire, God will help you and meet you wherever you are. Schedule the time. If you are like most people that have busy and tight schedules, this is required. Pick a time when you are alert, not when you are dozing off. Can you imagine telling God, “Sorry God, I did not have time to spend with you today.” He wants you to take Him seriously and this is the first step. Pray before you read. This is absolutely essential. When our lives are filled with busyness, it can be very difficult to block out all those little thoughts which will distract us from concentrating on our Teacher. When you are trying to tell someone something very important and they are not giving you their full undivided attention, how does this make you feel? Pray “Dear Lord, please speak to me as I read. Help me to focus on your words and help me to listen.” You may have to pray more than once at times. Think about what you’re reading. As you read try to understand the text and apply it to your life. “How does this apply to my life?”. “What can I learn from this?” The answers may not come right away, but if you take the time to digest what you are reading, these thoughts will revisit you and you begin to meditate on them throughout your day. At that point His “Words remain in you”. You may also want to write your thoughts to be shared with someone later. If you have no one to discuss what you are reading, join us on the Bible Team call, which we have Monday nights. Details for that call are below. Are you serious about spiritual growth? 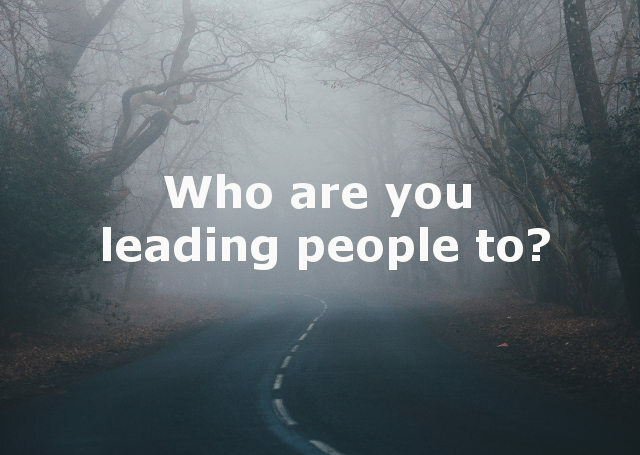 Who Are You Leading People To? Thank you for reading my posts. If you are one of the two people that read my posts then thank you! I greatly appreciate it. I pray that what I write not only interests you but moves you. If what I write does not lead one closer to Jesus and/or His Word then I haven’t done my job. If you have benefitted from any of my posts, please drop me a line and let me know. You can send an email to Larry@LarryPittman.com or comment below. It’s never about the Church. When I say Church I am referring to the Body of Christ. The people that have faith; whose hearts are sincerely seeking Him and “believe that He rewards those” because of it (Hebrews 11:6). Of course, if you are a part of the Body, then you know that it has flaws, just as you have flaws. Do you lead people to church or the Head of the Church? With that being said, who are you pointing people to? Do you direct them to your church, as in the local body of believers that regularly meet down the street? Or are you leading them to the Holy One, the One who will never disappoint or deceive? Don’t get me wrong, there are a lot of great churches around, but who would you rather place your neighbor or friend in the hands of? A flawed body of people who can come across as weirdos sometimes or the person of Jesus Christ whose very words are perfectly placed in that big, dusty book on your shelf? The Holy Word of God never disappoints. John 1: 14 So the Word became human and made his home among us. He was full of unfailing love and faithfulness. And we have seen his glory, the glory of the Father’s one and only Son. People accept Him or reject Him. For those people in your life that you identify as seekers, you can direct them to the Word of God today! First of all, I think that many people are much more receptive to the Living Word than a strange and sometimes creepy place, with sometimes creepy people. Let’s face it, visiting a church for the first time is intimidating even for believers, let alone the uninitiated. You don’t have to wait for Sunday services or Wednesday youth night when you can get them reading the Word of God today! After your friend meets God, He will lead them to His Church, that’s one thing we can be sure of. Are you becoming more like Christ? What is your testimony anyway? Is it “This is what the Church has done for me!” or is it “This is what God, the Creator of all things has done for me!”? A person with an open heart will meet God every time they read the Good Book, but will they meet Christ in church? Maybe. If Christ is in you, then your friend or relative will meet Him through you. If their hearts are receptive then they will be open to reading (or listening to) the Word. If their hearts are hardened then you will probably hear every excuse under the sun as to why they will not go to church with you. Do I want to grow in the Lord? Am I meek enough to expose myself to the convicting Word of God daily? Should I consider learning a little more about God every day? 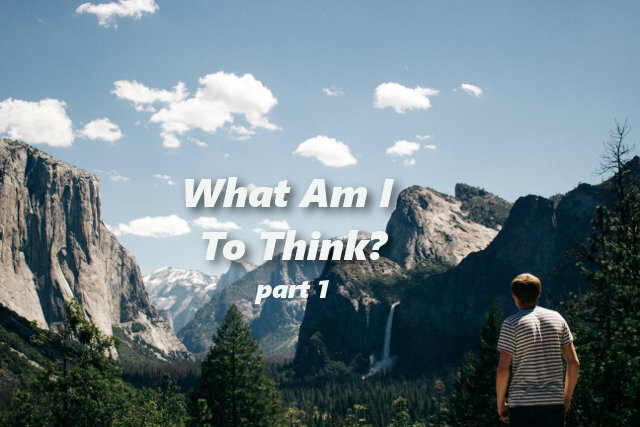 Is my faith in God important to me? Why? What am I currently valuing more than God? For the person that is not actively seeking God through the regular reading of the Bible: If you’d only realize what you’re missing out on. God wants you to get to know Him better and pursue Him. He will transform your life if you make yourself available to Him daily. Just one more thing: If God lays it on your heart to invite someone to church, do it. I’m not saying that you shouldn’t. What I am saying is that we should take our relationship with God seriously and when that happens, we become like Jesus and those seekers will be drawn to us and we will not have to wait for Sunday morning to introduce them to Him. Acts 2: 46 They worshiped together at the Temple each day, met in homes for the Lord’s Supper, and shared their meals with great joy and generosity—47 all the while praising God and enjoying the goodwill of all the people. And each day the Lord added to their fellowship those who were being saved. Are you frustrated? Do you sometimes feel like giving up? Life can be so harsh at times and it can be rather difficult to have any kind of joy or peace in these times. If that is where you’re at right now, then pay attention to this week’s message. Meditating on the following passages and commentary may be just what you need to endure these “hard times”. Last time we discussed that Jesus the Creator has invited us, the object of His love, to become His friends. This was in “What Does Jesus Mean To You? part 2”. Today I’d like to analyze that relationship in a bit more detail. 2 Peter 3: 9 He does not want anyone to be destroyed, but wants everyone to repent. John 15: 14 You are my friends if you do what I command. Let’s explore this relationship a bit more so that it is clear what we should or should not do. I am convinced that if we follow Christ and become His disciples in this way, we will care less and less about our circumstances and more and more about staying in Him and being His disciple. This will yield peace and joy (and all other fruit). John 15: 17 This is my command: Love each other. Matthew 6: 15 But if you refuse to forgive others, your Father will not forgive your sins. John 8: 31 Jesus said to the people who believed in him, “You are truly my disciples if you remain faithful to my teachings. 2 Thessalonians 3:6 And now, dear brothers and sisters, we give you this command in the name of our Lord Jesus Christ: Stay away from all believers who live idle lives and don’t follow the tradition they received from us. It is clear that not all friendships are equal. Some friendships yield rich and rewarding blessings and some friendships can end in disappointment and betrayal. John 15: 7 But if you remain in me and my words remain in you, you may ask for anything you want, and it will be granted! Friends these two verses are concepts that I find very challenging to implement into my life. Some days are better than others, but the more we become conscious of our thoughts and the more effort we put into continual prayer the more natural it becomes. This is clearly reading the Word of God. Since we read last week that Jesus is the Word, that says to me that all books of the Bible are His words. If you’ve read the book of Haggai, do you remember what it is about? Not that it needs to be memorized, but the concepts, ideas, and events should be stored in the heart so that you can share with others and have your own faith. There is value to all the books in the Old Testament, which is what the New Testament authors understood very well, that’s all they had. I think I’ve said enough. I’ve found and listed other verses relating to “remaining in Him” that I think you’ll enjoy. This is a message worth meditating on, if we can learn and practice at becoming His friend and remaining in Him I am convinced that there is no greater place to be. Can I get an amen? Anyone who does not remain in me is thrown away like a useless branch and withers. Such branches are gathered into a pile to be burned. John 15: 9 “I have loved you even as the Father has loved me. Remain in my love. 10 When you obey my commandments, you remain in my love, just as I obey my Father’s commandments and remain in his love. 1 John 2: 24 So you must remain faithful to what you have been taught from the beginning. If you do, you will remain in fellowship with the Son and with the Father. 1 John 2: 27 But you have received the Holy Spirit, and he lives within you, so you don’t need anyone to teach you what is true. For the Spirit teaches you everything you need to know, and what he teaches is true—it is not a lie. So just as he has taught you, remain in fellowship with Christ. 28 And now, dear children, remain in fellowship with Christ so that when he returns, you will be full of courage and not shrink back from him in shame. 1 John 3: 24 Those who obey God’s commandments remain in fellowship with him, and he with them. And we know he lives in us because the Spirit he gave us lives in us. Jude 1: 5 So I want to remind you, though you already know these things, that Jesus first rescued the nation of Israel from Egypt, but later he destroyed those who did not remain faithful. Jude 1: 20 But you, dear friends, must build each other up in your most holy faith, pray in the power of the Holy Spirit, 21 and await the mercy of our Lord Jesus Christ, who will bring you eternal life. In this way, you will keep yourselves safe in God’s love. 22 And you must show mercy to those whose faith is wavering. 23 Rescue others by snatching them from the flames of judgment. Show mercy to still others, but do so with great caution, hating the sins that contaminate their lives. 24 Now all glory to God, who is able to keep you from falling away and will bring you with great joy into his glorious presence without a single fault. Do the words Lord, Master, God, Cross, Savior, Prophet come to mind? John 1:1 In the beginning the Word already existed. … 14 So the Word became human and made his home among us. He was full of unfailing love and faithfulness. And we have seen his glory, the glory of the Father’s one and only Son. I just love these two passages! Here you have it folks, Jesus the Creator, from two different authors, pretty cool, huh? It’s amazing that the Creator of all things seen and unseen decided to come to this earth and live with us. John 15: 9 “I have loved you even as the Father has loved me. Remain in my love. 10 When you obey my commandments, you remain in my love, just as I obey my Father’s commandments and remain in his love. 11 I have told you these things so thatyou will be filled with my joy. Yes, your joy will overflow! 12 This is my commandment: Love each other in the same way I have loved you. 13 There is no greater love than to lay down one’s life for one’s friends. 14 You are my friends if you do what I command. 15 I no longer call you slaves, because a master doesn’t confide in his slaves. Now you are my friends, since I have told you everything the Father told me. For those of us that trust and obey Him, He calls us His friends. I, the Lord, would reveal myself in visions. I would speak to them in dreams. 7 But not with my servant Moses. Of all my house, he is the one I trust. clearly, and not in riddles! He sees the Lord as he is. God trusted Moses, how about that! 2 Chronicles 20: 6 He prayed, “O Lord, God of our ancestors, you alone are the God who is in heaven. You are ruler of all the kingdoms of the earth. You are powerful and mighty; no one can stand against you! 7 O our God, did you not drive out those who lived in this land when your people Israel arrived? And did you not give this land forever to the descendants of your friend Abraham? 8 Your people settled here and built this Temple to honor your name. Of course Abraham was a friend of God. This Psalm was written by King David, another friend of God. But I love verse 14 which simplifies it and shows exactly how anyone can become friends, which is consistent with the words in John above. Do you understand what I am trying to illustrate here? The Creator of heaven and Earth invites us to be His friends! Perhaps that is just the purpose for His creation to begin with. Oh how wonderful that is! Who is Jesus? Of all the messages I’ve written, this issue the most imperative. Out of all the questions to be asked, there is not one where the answer has eternal ramifications that this one has. For now let’s start with this question: Who was this man Jesus? He lived 2,000 years ago, what relevance did His life have to anyone? Why are people still dying for their belief in Him? Some say that He never existed. Some people believe he was simply a good man. Some believe He was a prophet, but nothing more. Some people say that He is only one way to God, and there are many ways. Last week we discussed the One who created the heavens and earth. It is clear to me from the scriptures we reviewed that there is one God. Not many gods but one God. What did God have to say about the Savior through His prophets? one whose origins are from the distant past. This is one of many prophecies about the Messiah (Christ). There is said to be over 300 prophecies all of which were fulfilled through the person of Jesus. There are websites that delve into these prophecies in great detail, see the link below for one such resource. What did Jesus have to say about Himself? John 3: 13 No one has ever gone to heaven and returned. But the Son of Man has come down from heaven. 14 And as Moses lifted up the bronze snake on a pole in the wilderness, so the Son of Man must be lifted up, 15 so that everyone who believes in him will have eternal life. John 14: 6 Jesus told him, “I am the way, the truth, and the life. No one can come to the Father except through me. These are just a few statements Jesus said about Himself. The New Testament is filled with similar passages. Yet people still don’t believe. They choose not to. Even though the text is clear, it still comes down to faith. People that deny these truths always find reasons not to believe. What is the alternative to an inerrant Bible? If the Bible is not the Truth, what is? How could we rely on anything? It is no wonder people have no hope today. 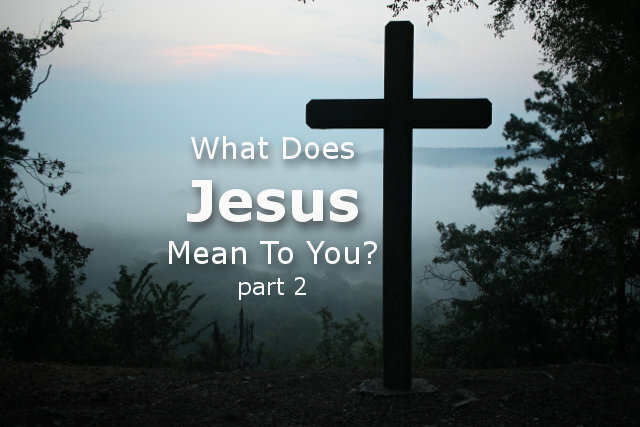 I say all this to say what does Jesus mean to you? It really doesn’t matter what other people think, or what they say. You’ve read these scriptures and others, what do you make of them? If you believe He is the Son of God, does His teachings have any bearing on your life? Does it have any affect on your daily decisions on how you spend your time and the conversations you have? I find this to be one of the most challenging passages for me to read. This is why I am determined to seek Him with all my heart. What else even begins to compare in importance? Will you join me in seeking Jesus? Why do you read my messages? Why do you read the Bible? If you are a Christian, why? Why do these things matter to you? I know one thing, if I stop reading the Word, hang out with the wicked, watch a lot of TV, regularly read periodicals such as the newspaper, Newsweek, National Geographic, Self, or People, my belief in God will become more and more irrelevant. The Bible will become meaningless to me. Pretty soon I might either believe that all “paths” lead to God or that there is no God at all. Do you read the Bible to be good, or to be “made right with God” and learn how to love Him? Are you aware that some people believe that there is no God? Do you know that some people believe that “God is everything and everything is God”? Have you been informed that some people worship the universe, nature, the sun, and the moon? Has it ever crossed your mind that some people believe that there are many gods? Deuteronomy 4: 39 “So remember this and keep it firmly in mind: The Lord is God both in heaven and on earth, and there is no other. 1 Kings 8: 60 Then people all over the earth will know that the Lord alone is God and there is no other. not to be a place of empty chaos. “and there is no other. Romans 3: 29 After all, is God the God of the Jews only? Isn’t he also the God of the Gentiles? Of course he is. 30 There is only one God, and he makes people right with himself only by faith, whether they are Jews or Gentiles. 1 Corinthians 8: 4 So, what about eating meat that has been offered to idols? Well, we all know that an idol is not really a god and that there is only one God.5 There may be so-called gods both in heaven and on earth, and some people actually worship many gods and many lords. 6 But we know that there is only one God, the Father, who created everything, and we live for him. And there is only one Lord, Jesus Christ, through whom God made everything and through whom we have been given life. 1 Timothy 2: 5 For there is only one God and one Mediator who can reconcile God and humanity—the man Christ Jesus. Isn’t the Bible clear enough about who God is? 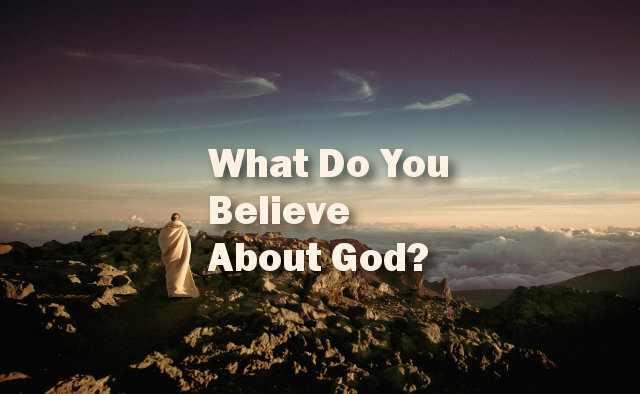 What do your friends and relatives think about God? Does it matter to you what they think? Romans 14: 12 So then every one of us shall give account of himself to God. What do you think would happen if they started to read these “life yielding” words? Have you even considered that this special knowledge that you have comes with it special responsibility? Luke 12: 48 But someone who does not know, and then does something wrong, will be punished only lightly. When someone has been given much, much will be required in return; and when someone has been entrusted with much, even more will be required. What will you do with what you know? In my last post, “What am I to think? part 1“, we discussed the contrast between what the secular scientific community says about the age of the earth and what God’s Word has to say with sound Biblical evidence. What’s important to remember is that it takes faith on both sides of the debate. Will you believe what “the world” promotes as truth, with no witnesses, or will you believe what God said, who we know was there? Hebrews 11: 3 By faith we understand that the entire universe was formed at God’s command, that what we now see did not come from anything that can be seen. Big Bang or a spoken, intentional command? The Big Bang Theory is one of disorder, chaos, and chance while Genesis 1 lays out a carefully detailed and well-executed plan that could’ve only been completed by a Master Designer. Of course, there is more to this ongoing debate that I’d like to address this week. I used to believe that the world was millions of years old and I never bothered to reconcile that belief with Genesis 1. I believed that the dinosaurs existed many millions of years ago, died off, and then somewhere in the distant past Adam and Eve came along. Genesis 1: 31 Then God looked over all he had made, and he saw that it was very good! If God saw that it was very good, there wouldn’t have been any death, which aligns with Romans 5:12. This is after He created the land animals and humans, all in the sixth day. At this point, you may be asking, “What about the dinosaurs? Where do they come into play? Does the Bible mention dinosaurs? Since they were land animals, they were created on day six. What sort of creature does this make you think of? Is there any creature today that has a tail as strong as a cedar? I know this sounds like a mythical creature, but in the context of chapters 39-41, does that make any sense? Especially in light of verses 33-34. Just because we haven’t seen this creature doesn’t mean it never existed. Where did the idea of fire-breathing dragons ever come from anyway? Isn’t it interesting that among all the ordinary creatures of the Chinese Zodiac there lies the dragon? The word dragon, by the way, is found many times in the King James Version when the word dinosaur had not yet been invented (1841). A dragon is seen on the flag of Wales and dragons are found to be a part of many ancient cultures throughout the world. Are dragons a common myth among many cultures or could it be that they were once creatures that lived among us and are simply extinct? Soft blood tissue was found in a Tyrannosaurus Rex bone. You can choose to believe that the tissue is still soft after 70 million years, or you can choose to believe that the bone is less than 6,000 years old. 2 Peter 3: 5 They deliberately forget that God made the heavens by the word of his command, and he brought the earth out from the water and surrounded it with water. 6 Then he used the water to destroy the ancient world with a mighty flood. At the heart of it, disbelief is not a matter of scientific findings, but about the heart. Only if I have a heart for God will I believe Him. I don’t know about you, but I enjoy watching the Discovery channel. I especially like watching the series called “Planet Earth” and “Planet Earth II”. I can’t get over how God masterfully created our beautiful planet and the incredible creatures that inhabit it. Those shows never cease to amaze me. The only thing about those shows that I dislike is that they never give God the credit. They seem to believe that all creatures evolved over millions of years, by chance, no Designer required. It seems as though all those nature related shows like Nova and those on National Geographic support the belief of evolution and the idea that our planet has been in existence for many millions of years and more. So what am I supposed to think? When I read God’s Word, in particular, Genesis chapter 1, it seems to contradict the ever-pervasive beliefs that life evolved and that the earth is many millions of years old. Let’s review what the good Book has to say about the beginning, the beginning of time, that is. Genesis 1: 1 In the beginning God created the heavens and the earth. 2 The earth was formless and empty, and darkness covered the deep waters. And the Spirit of God was hovering over the surface of the waters. OK, according to God, after the first day all that existed was the earth, the heavens, light, and the earth was covered with water. On the second day, He creates the earth’s atmosphere, which is not like ours today. Genesis 1: 9 Then God said, “Let the waters beneath the sky flow together into one place, so dry ground may appear.” And that is what happened. 10 God called the dry ground “land” and the waters “seas.” And God saw that it was good.11Then God said, “Let the land sprout with vegetation—every sort of seed-bearing plant, and trees that grow seed-bearing fruit. These seeds will then produce the kinds of plants and trees from which they came.” And that is what happened. On the third day, we see dry ground, the seas, then vegetation. Ahhhh, of course, on day 4, after the light and after the vegetation, He made the sun, moon, and stars. Their purpose is to light the earth, to govern the day and night, and to separate the light from the darkness. Day 5 sees the creation of birds and sea creatures. Sounds like a pretty easy day, for the Lord at least. Genesis 1: 24 Then God said, “Let the earth produce every sort of animal, each producing offspring of the same kind—livestock, small animals that scurry along the ground, and wild animals.” And that is what happened. 25 God made all sorts of wild animals, livestock, and small animals, each able to produce offspring of the same kind. And God saw that it was good. Ephesians 2: 10 For we are God’s masterpiece. He has created us anew in Christ Jesus, so we can do the good things he planned for us long ago. Do you see the significance of the order in which He created our planet? He created the earth for our use! Genesis 1: 5 God called the light “day” and the darkness “night.” And evening passed and morning came, marking the first day. Here we see the words “day and night” together with “evening and morning” and that it’s the first of six days. Is it OK if I quote from the 10 commandments? Exodus 20: 11 For in six days the Lord made the heavens, the earth, the sea, and everything in them; but on the seventh day he rested. That is why the Lord blessed the Sabbath day and set it apart as holy. God modeled the six day work week for us. Isn’t that awesome? Mark 10: 5 But Jesus responded, “He wrote this commandment only as a concession to your hard hearts. 6 But ‘God made them male and female’ from the beginning of creation. I think we now know where Jesus stands on the subject if we didn’t already. The more I seek God, the more I firmly believe that the simpler, the better. For it is the simple ideas and teaching that reach the masses. I truly believe that the devil is using the “wisdom of this world” to trip up many people and to undermine God’s truth and His great plan of salvation. In the world’s eyes, is it wise to believe that a man came back to the dead? Do we take this seriously? Matthew 28: 5 Then the angel spoke to the women. “Don’t be afraid!” he said. “I know you are looking for Jesus, who was crucified. 6 He isn’t here! He is risen from the dead, just as he said would happen. Come, see where his body was lying. I find it interesting that it is mostly the first 11 chapters of the Bible that are attacked in our culture today. What better way to discredit a book than to cast doubts on the first chapters of it by undermining their credibility. What’s disturbing is that there are many in the pews today that are indifferent or even stand with those that can’t accept God’s Word for what it says. What’s really incredible is if Genesis 1 did not happen in 6 literal days, it simply makes no sense. For “everyone knows” that the stars and sun were here first though not according to God’s Word! If a friend that does not know Jesus asks you how old does the Bible say the earth is, what do you tell them? Do you tell them “You can’t really trust Genesis 1 for what it says, it’s not written plainly.”? Do you see where I’m going with this? This is a foundational issue and we need to be able to stand on the authority of God’s Word, for that is solid ground! I know what to think, do you? When you were younger, were you ever forced to take sides on the playground? Perhaps two older kids, maybe bullies, wanted a “side-kick” and that put you in a pickle. If I choose to hang out with Billy, Micky might get angry, and vice versa. Those are hard decisions. For me, I just wanted to run and hang out with people that were less demanding. I was not a fighter and went out of my way to avoid fights. It is the same with confrontation, I avoid it as much as possible. Matthew 12: 30 “Anyone who isn’t with me opposes me, and anyone who isn’t working with me is actually working against me. This is just like saying if you are not part of the solution, you’re part of the problem. Have you ever stopped to consider how this verse applies to your daily activities or friends you hang out with? Ephesians 2: 1 Once you were dead because of your disobedience and your many sins. 2 You used to live in sin, just like the rest of the world, obeying the devil—the commander of the powers in the unseen world. He is the spirit at work in the hearts of those who refuse to obey God. 3 All of us used to live that way, following the passionate desires and inclinations of our sinful nature. By our very nature we were subject to God’s anger, just like everyone else. These verses make it clear that there is no middle ground. Ephesians 6: 12 For we are not fighting against flesh-and-blood enemies, but against evil rulers and authorities of the unseen world, against mighty powers in this dark world, and against evil spirits in the heavenly places. 41 Isaiah was referring to Jesus when he said this, because he saw the future and spoke of the Messiah’s glory. Do you know what God wants you to say? When people belittle the political party you associate with, do you ask God how you should respond? Do you know His commands? You do know that God wants us to be like His Son, don’t you? Romans 8: 29 For God knew his people in advance, and he chose them to become like his Son, so that his Son would be the firstborn among many brothers and sisters. 30 And having chosen them, he called them to come to him. And having called them, he gave them right standing with himself. And having given them right standing, he gave them his glory. That is good news, isn’t it? I don’t know about you, but that makes me feel pretty secure. 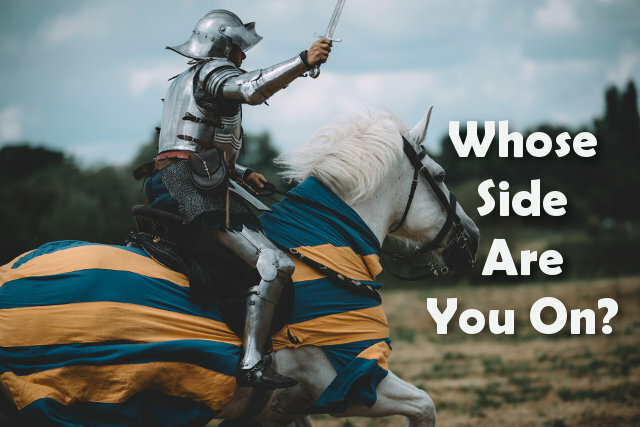 Is it time for you to take a stand? Is it time to arm yourself for the great battle before us? Ephesians 6: 17 Put on salvation as your helmet, and take the sword of the Spirit, which is the word of God. There’s no question in my mind that God has a job for each of us in His army. As the last verse states, our weapon is the word of God. Do you find yourself taking cover because you have no sword in your hand? Or are you prepared to stand up to the enemy because you know how the war will turn out? Will you take up your weapon and fight?